I bought the recording after reading the review below. If anything he's understated his case for the piece and for this sensational recording of it. Everywhere else I'd looked I'd encountered ho hum appraisals of the work, yet historically it seems to have been well-regarded. I was confused by that but this one commentary put me over the edge. I am astonished to be the first listener to comment on this set. A joyful sample of the human voice. 'Live in Italy' by mezzo-soprano Cecilia Bartoli, accompanied by pianist Jean-YvesThibaudet is, for those of us who do not know Italian and are not avid opera fans, a simply delightful essay in the beauty of the human voice. 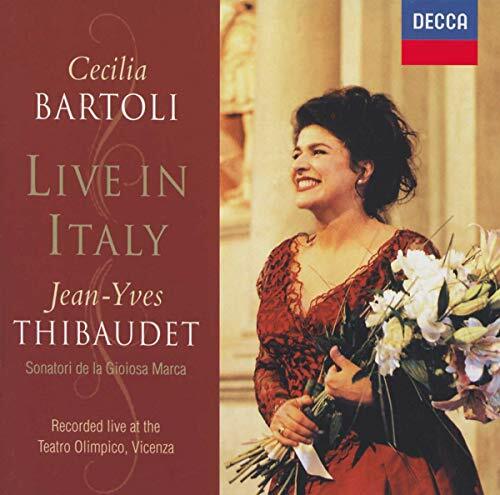 I am really happy this is not the first Bartoli album I have bought, as others, such as her recordings of French and Italian love songs have more substance to offer (if you don't know the operas from which these pieces are taken) but this recording, with its live ambiance, is a great pleasure all by itself, a very nice change from the somewhat frostier Fraulain Von Otter from the northern climes. Although I rarely follow singers, even I am totally disarmed by Cecilia's magic spell of charm that criticism fails me. You will see that most of my reviews of music are about modern or Renaissance music, so for me to go out and lavish praise on her is really something totally out of the ordinary. Then again her singing is out of the ordinary in that it has an instantly recognisable warmth and captivating personality that makes her the outstanding singer of the current generation for me. "Her natural command of messa di voce phrasing, willingness to shade the voice away to the quietest pianissimo and acute sensitivity to the words of Caccini's love songs proved irresistible, attracting a generous mix of applause and foot stamping." One Of The Greatest Voices of All! Not 100% satisfied with the selections, but what artistry! 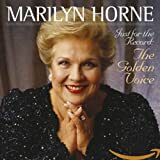 Decca's release of this career-spanning Marilyn Horne recital contains many "golden" nuggets, but isn't the absolute best representation of her artistry, in my opinion. DON'T GET THIS FROM AMAZON!!!!! Ok people. I ordered this from Oct. 13 and NOw it's Nov. 3. I still didnt' get it. They told me it's gonna be delayed until the 14... I'm rating this only a one star not because SIR James Galway isn't a great flutist, but it's Amazon's crappy service and lack of interest. Being married to a flutist allows me to hear some of the greatest works written for this beautiful instrument.Here one of its greatest virtuosos records his favorites from its reportoire. 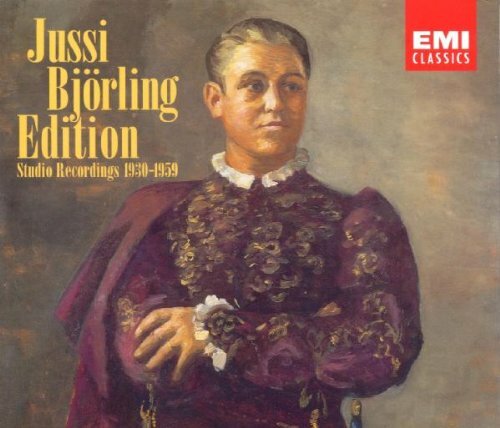 This is an wonderful compilation of one of the most incredible voices on record.Whether you are a new or old Bjorling fan -- and who could hear that voice and not be enthralled by it -- this is a fine CD to have.The quality of the recording is excellent, and the range in years, from 1930 to 1959, gives a splendid overview of his dazzling talent.In addition to many of the arias one might expect, there are also lieder and songs in Swedish, as well as some charming duets with Jussi's wife, Anna-Lisa.I have quite a few other Bjorling CDs, and this is one of the best in terms of quality and scope.It is a most worthy addition to any Bjorling collection, regardless of its size. Beatiful singing - but where are the Swedish texts? 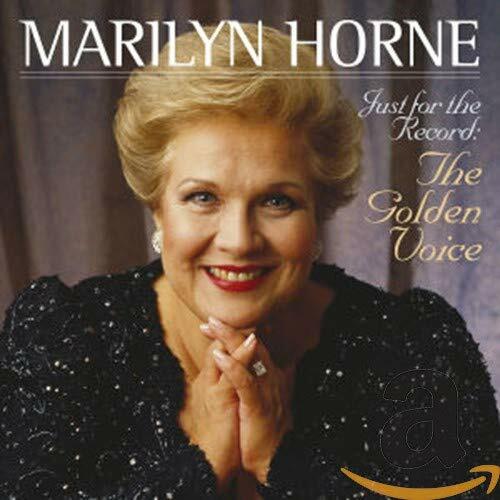 This is an excellent collection, the best available overview of a great tenor. if you like bjorling this is the best thing you can get! ... okay, maybe. It's just that I've never heard a recording I didn't love. And I prefer that he sing everything in German even when that means not using original language. Deutsche Grammophone does it again! 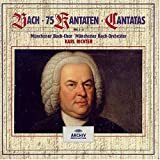 This is an extensive 3-cd compilation album featuring the artistry of the great German tenor Fritz Wunderlich in a variety of vocal repertoire - Baroque cantata/oratorio, opera and Lieder. Like the other critic pointed out, I first heard Fritz sinigng a superb Tamino in the Karl Bohm Magic Flute, although I have also heard him sing Lieder opposite the mezzo soprano Christa Ludwig and baritone Dietrich Fischer Dieskau, who were his contemporaries and colleagues. Wunderlich died tragically in 1966 of cancer. He inspired a generation of purely lyric tenors or "tenors di grazie" whose charming voice would never roughen and lack grace. His Germanic style earned him popularity in World War II Europe and he was the leading exponent of Lieder in the 50's. His tenor voice is glorious, as close to a male angel as possible. 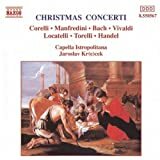 On this recording, we are treated to sumptuous arias from Bach's Christmas/Easter Oratorios, and movements from 2 cantatas. Also noteworthy are the unsurpassed performances of Mozart tenor heroes- such as Belmonte from "Die Entfuhrung Aus Dem Serail" (Abduction from the Seraglio) and his unbeatable Tamino from Die Zauberflote The Magic Flute. He sings bel canto opera arias fo tenor, from master composers Rossinni, Bellini and Verdi. 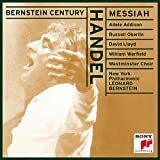 While I don't much like that he is singing Italian arias in German, one must remember that at this time, in the LP Era of World War II Germany and Austria, German-born opera singers sang Italian opera in German translation/revisions. While many German singers could indeed sing in Italian, they were mostly trained to sing it in German because of excessive national pride and because Germans viewed Italian opera as course and un-melodic. Still, there have been superb German singers who sang in Italian like Wagner diva Birgit Nilsson,baritone Dietrich Fischer Dieskau, tenor Peter Schreier, soprano Edda Moser, baritone Walter Berry, tenor Herman Pretty, all post-Wunderlich sensations. 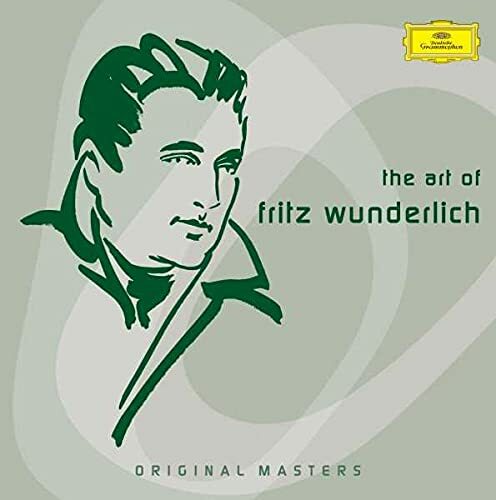 Wunderlich sings Lieder in one CD with great and unrivaled musicianship. Especially impressive are the Viennese pieces. 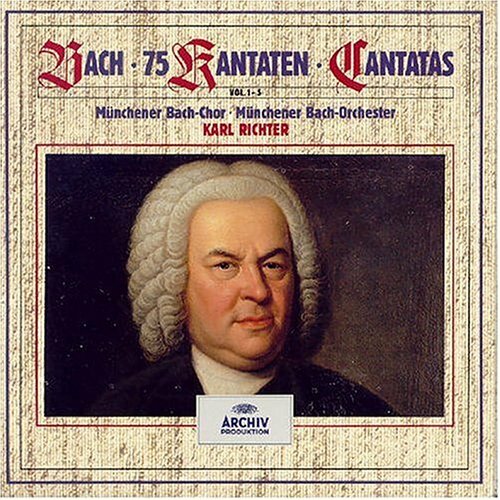 Further to the cd's this album is equipped with photos of Wunderlich and his family and a detailed profile biography. I wish I could give this release more than 5 stars: it's terrific!!! 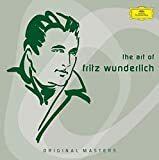 I knew little about the German tenor Fritz Wunderlich (1930-1966), except reading the accolades given to his recordings and performances by reviewers in "American Record Guide" over the past 13 years.I knew Wunderlich recorded the role of Tamino in the famous DG recording of Mozart's "Die Zauberflote", with Karl Bohm/Berlin Philharmonic (Now on DG Originals CDs), but was not aware of what a wide range of repertoire he had until hearing this release. 169. The Most Relaxing Holiday Classics in the Universe! Just be sure to buy this version (18 tracks) rather than what appears to be a very pared-down later issue (same cover, only about half a dozen tracks). 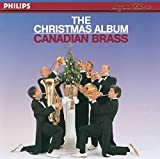 Lousy musicianship here, frankly-- missed notes and poor intonation.I was hugely disappointed when I heard this album.Greatly recommend A Festival of Carols in Brass (Philadelphia Brass Ensemble) instead, which is pure joy for the listener. This performance has its equals but none is better. 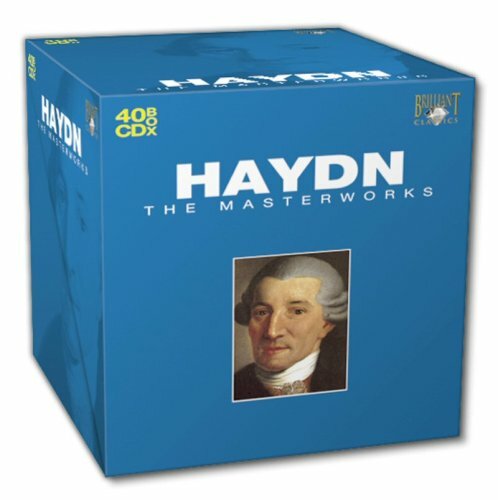 Gardiner's recordings of the two great oratorios composed by Haydn towards the end of his career and his life (the other being "The Seasons") are superb in every way.I agree with earlier 5-star reviewers as to the merits of this recording of "The Creation," so I will not repeat them here.If the balance of clarity and warmth achieved by Gardiner and his musicians pleases you, you may wish to listen to the recordings made earlier by Rafael Kubelik and Eugen Jochum, both with the Bavarian Radio Symphony Orchestra and Chorus and first-rank soloists, the former on the Orfeo label and the latter as a Philips Duo.Gardiner uses "period" instruments while Kubelik and Jochum, whose careers pre-date Gardiner's, use "modern" instruments.In all three cases one senses an authenticity of style and a fidelity to Haydn's profoundly spiritual intentions. 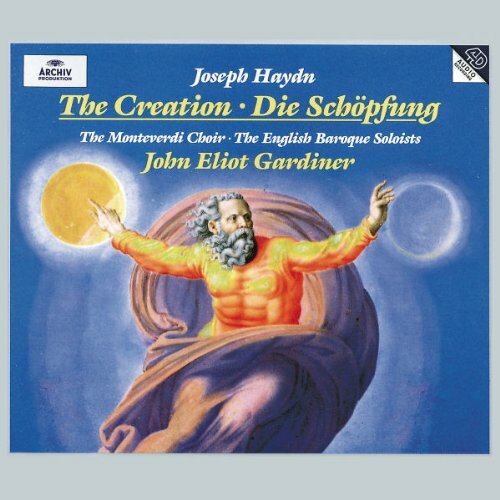 I'm a huge fan of JEG, but found this "Creation" disappointing, mostly because of the soloists.As always, Gardiner's extraordinary attention to instrumental detail, and his iron-fisted control over both the instrumental and vocal ensembles brings the chorus and instrumentals to vivid and sometimes startling life.However, Michael Schade and Sylvia McNair are both woefully underpowered and miscast as the Angels Uriel and Gabriel, respectively.Schade doesn't begin to have the vocal chops necessary for Uriel's challenging soli, although his tone is pleasant.McNair won't be able to last much longer on the strength of her unusually beautiful instrument if she doesn't learn some technique; she sounds continually short of breath, and is so underpowered that even in her soli with the orchestra it is sometimes impossible to hear her; and in some of the choral ensembles, her part is completely lost.Her tendency to "scoop" and to stray from the pitch are also disappointing.Her perfectly even, rapid trill serves her very well in several moments, however. 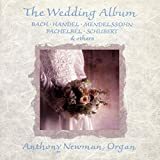 As a musician and music lover, I have looked extensively for the right music for my traditional wedding ceremony with a couple of twists.So tired of the traditional bridal march, I chose Rigaudon as my entrance.This CD has good-quality sound, able musicianship, and 28 selections from which to choose.The organ is the best instrument in a cathedral to inspire the congregants.The bass tones are not too throaty, and the high pitches are clear, yet pleasing to the ear. I agree with the reviewer above that this is an excellent recording. I must strongly disagree with Mr. Hurwitz. 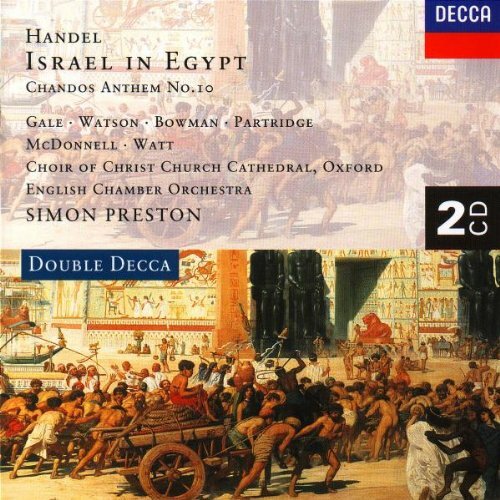 I am a loyal fan of Ian Partridge, who is a regular favorite of mine for any lyric work whether baroque or early romantic, and he will not fail to disappoint those who like what he has done in the past here. The orchestra is a wonderful compliment, not a surprise seeing that it's the ASMF, no matter who they're under. I've never heard them take something at a rediculous pace or throw around baroque lines as if they were trying to hurl them to the back of the auditorium rather than letting them glide. That's not to say that they are of that dead, tinny sounding orchestra type either. A very good medium for those not used to pre 1960 recordings yet not satisfied with the newer interpretations like Gardiner/ some Harnoncourt. A bit like Sir Colin Davis. 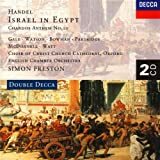 We found this recording of "Israel in Egypt" to be of spectacular quality--excepting one soloist's moment, near the end of the work. 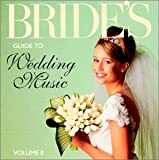 This is a great compilation, CD, along with Bride's Guide to Wedding Music Volume I, to use as a reference for some of the more popular wedding songs, such as Trumpet Voluntary, Vivaldi's Spring from the Four Seasons, Trumpet Tune and Canon, i.e. Pachelbel's Canon. All of the musicians are generally superb, and the sound quality is very good. However, this is most useful if you are playing the CD at your wedding, or using it as a reference CD to talk over with an organist, a string quartet, etc. I only gave it four stars based on practicality, not on quality. If it were just quality, I would give it five stars. I purchased this CD since I am in the process of making my own wedding CD (I am a professional, freelance violinist), and this was nice to listen to, even just as background music for dinner. As the other reviewer noted, one doesn't have to be getting married to enjoy this CD...and the musical selections are certainly interesting, even eclectic.I have to wonder, however, who picked these out with what criteria since at least a couple of these melodies are not traditional wedding tunes.By this I mean the lovely arrangement of Michael Praetorius' "In Dulci Jubilo. "In his home country of Germany, where I used to live until a couple of years ago, this is a Christmas carol, sung at Christmas Eve services throughout the land.The lyrics aren't especially suited to any sort of wedding, really.Unless you're marrying in December, I personally would steer clear of this song.And if the wedding's in June and you have European guests, don't be surprised if eyebrows are raised when this melody is played! 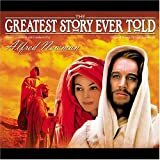 Varese Sarabande has again done credit to the genre of great film scores with their recent release of the expanded (if not full) Alfred Newman score for George Stevens' production of "The Greatest Story Ever Told" (Newman and Stevens had also worked together on "Gunga Din," one of Newman's best efforts).The film title missed the mark a bit as far as the film is concerned.This is probably not the greatest of the Bible epics, but it is an interesting entry nevertheless.For those of us who live in the area of Lake Powell and southern Utah it is a trip to view this film with its very familiar Red Rock backdrops filling in for Palestine. And the acting was in many cases first rate.Newman's score was also an enormous plus.Perhaps not one of his best, it was certainly a great score.Based largely on a major theme that is clearly reminiscent of his earlier score for "The Robe," this is a major triumph, as is this three disc presentation.Nicely packaged and produced at an unbelievable price, this is a must for film score buffs.Disc one contains the original soundtrack recording (with updated sound)including Handel's chorus from "The Messiah" which Stevens' insisted upon using instead of Newman's own ending.Curiously, Newman's choral "Exit Music" would have been a much better fit for the film and is included here.Discs two and three include the majority of Newman's original score, as he intended it.It is really majestic stuff, although much of the score took a sombre tone.I cannot wait to enjoy this score driving down the Burr Trail.It is music that mataches the grand landscape, and the greatest story ever told. Varese Records presents Alfred Newman's score for "The Greatest Story Ever Told" (1965/196 mins), George Stevens directs an epic that shares the story and life of Jesus Christ ~ featuring Max Von Sydow [Jesus], Dorothy McGuire [Mary], Claude Rains [Herod the Great], Charlton Heston [John the Baptist], Angela Lansbury [Claudia], Donald Pleasence [Satan, the Dark Hermit], David McCallum [Judas Iscariot], Sidney Poitier [Simon of Cyrene], Telly Savalas [Pontius Pilate], Martin Landau [Caiaphas], Robert Blake [Simon the Zealot], Jamie Farr [Thaddaeus], Roddy McDowell [Matthew], Jose Ferrer [Herod Antipas] and John Wayne [Centurion] and many more with memorable performances ~ yet at the time of release, received low praises for the director and cast. 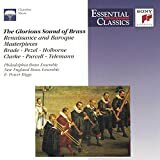 Philadephia Brass BAD. New England Brass GOOD. This CD is a combination of two recording sessions.The 1966 recording of the Philadelphia Brass rates maybe two stars.Not only does the recording itself have a dry, studio sound to it, but the performance of the Philadelphia Brass cannot be recommended.They stomp their way through the loud parts; and the expressive parts are done in a perfunctory manner.It all has a real mechanical, connect-the-dots feel to it.There is a significant amount of imprecision in the attacks.Without checking the original scores I can't say for sure, but I'm thinking that some pieces were transposed into more comfortable keys. Along with other reviewers, I've known this recording since the early 1960s. Maestro Bernstein is accurate, in his introductory essay explaining the re-formulation of work into a two part Christmas and Easter work, that devotion to the traditional form of the work is in deference to Charles Jennens (or his chaplain Pooley). But the proof of the pudding is in the eating and I just don't agree with him. The three part structure of the oratorio takes us from prophecy, Messiah's birth and ministry (Part I); to the passion of Messiah, resurrection, and the spread of the kingdom (Part II) to the reflection upon the fulfillment of the promises of all that has gone before at the last days (Part III). It's not just about the birth, crucifixion and resurrection of the Christ (as this reworking would lead one to believe) but the redemption of humankind. David Hurwitz is a snob. Does one always eat every morsel on the plate even if he/she hates it?? I have loved this recording on LP since the 60's and can't wait for the CD which I am ordering. 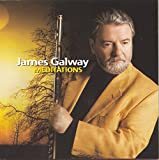 It discards some of the more boring parts (I have heard on other recordings) and brilliantly gives the listener the essence of this beautiful piece which I consider the most beautiful music ever written. David Hurwitz, in his review for amazon.com, said: "...his interpretation isn't just un-Baroque, it's also unlike anything else you could possibly imagine. 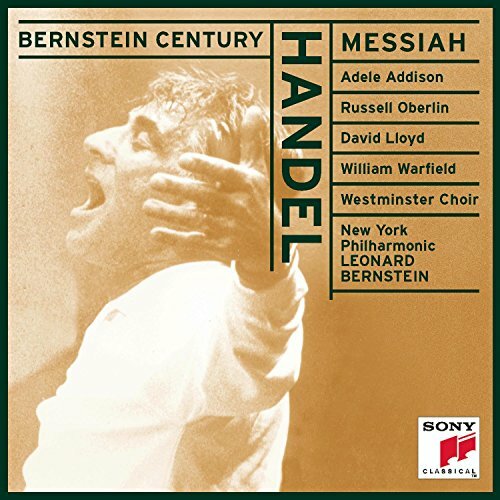 Slow, heavy, and totally unidiomatic, this recording is valuable only to Bernstein fanatics."